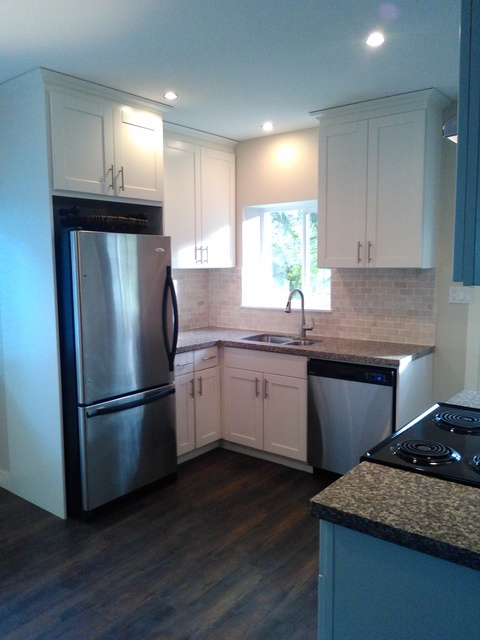 HomeStars > Tile & Stone Retailers in Pitt Meadows > Eagle Tile > Supplied materials for kitchen backsplash & fireplace surround. Supplied materials for kitchen backsplash & fireplace surround. I just completed my third house renovation where I've used eagle tile as a supplier. Their costs are always very reasonable and competitive. More importantly though, Farida (the owner) is incredibly helpful and honest, which is becoming increasingly hard to find these days. She has a great eye for design and detail, and she works very hard to make sure the customer gets everything they need to finish a project on time and within their budget. If you have a project which involves tile work, give eagle tile a visit. They'll give you honest, good help. Thank you Liam, I enjoy what I do and I loved working with you. I look forward to working with you on the next project!